It is a fact that bed bugs have arrived in Franklin, and calls for treatment are on the rise. The good news is that the bed bugs treatment Franklin needs now is available now. Bug Authority, a pest control company based in Franklin, TN that serves all of Nashville, Murfreesboro, and Middle Tennessee, is poised to provide bed bugs inspection, treatment and extermination needed in Franklin. Bed bugs feed at night and hide during the day so it may be difficult to know if you have bed begs just from simple observation. 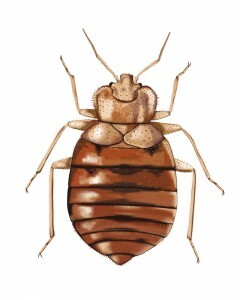 Often, the first clue that bed bugs may have arrived is the appearance of bites on the upper torso. The bites itch and tend to result in red welts. They can appear as single bites or in clusters or rows. Bed bugs treatment Franklin can trust is available from Bug Authority. Failure to treat your home’s bed bug infestation will result in an ever increasing population. Although bed bugs are typically found first in beds, the increasing population also can occupy any upholstered piece of furniture. If your home is infested with bed bugs, you won’t be able to stop the problem without professional bed bug treatment services. Bug Authority has the extensive experience necessary to treat your home properly the first time! We will work with you to control the bed bug infestation, prevent a re-infestation, and avoid the spread of bed bugs to other areas of your home. Having a bed bug infestation can be stressful and scary. If you suspect that your home has bed bugs, call Bug Authority immediately at 615-472-1292 to schedule your evaluation and put your mind at ease. We’ll determine if bed bugs are present and assess the severity of your problem. Then we’ll immediately develop a plan of action to get the bed bugs under control. Your friends at Bug Authority will return your bed to the safe haven it was intended to be. Note: Please be aware that we strongly urge you to avoid removing your mattress from your house for disposal because you risk spreading the bugs. In most cases, mattresses can be preserved for on-going use.